A couple weeks ago we shared on this page the review of Christiaan Punter of www.hifi-advise.com about our PrimaLuna DiaLogue Premium Poweramplifier. “Apparently, this is one of those rare occasions where a magical match is made. After 20 minutes of playing time (the amp was brand new) involvement was raised to the point where it became hard to walk away. Christiaan has shared another review about our ( now his ) PrimaLuna DiaLogue Premium Poweramplifier. He made a comparison between the EL 34 tubes and the KT150 tubes. 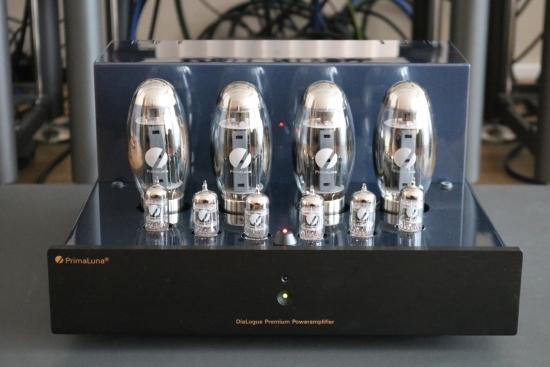 Dit bericht werd geplaatst in PrimaLuna, Reviews - Tests, Versterkers - Amplificateurs en getagged met durob audio, PrimaLuna DiaLogue Premium Poweramplifier, Review. Maak dit favoriet permalink.